Hey, Friends & Fans. One of the downsides to having such a generic name is that there are a lot of Matthew Normans out there. There's a renowned clock-maker, an Australian actor, a controversial political columnist in the UK, and an infamous drug smuggler who is currently, as best I can tell, in prison. 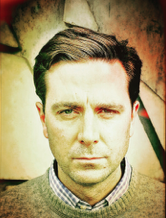 There are also several other Matthew Normans on earth who write books. The nerve of these guys! 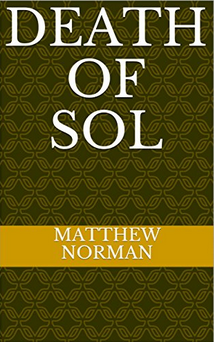 One of these non-me Matthew Normans recently published the book pictured above, Death of Sol. Some of my readers have gotten emails from Amazon reporting that I wrote this. A glitch in the Matrix. And, based on some search and purchase data I've seen, some people, quite reasonably, are getting confused. Let me set the record straight: I DID NOT WRITE THIS BOOK. 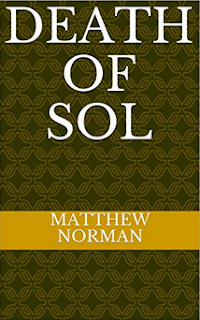 I wish the other Matthew Norman the best of luck with Death of Sol, but please know that I had nothing to do with it. I'm currently hard at work on the second draft of my next novel. When it's ready to go, I'll let you know. Side note: I mostly blame my parents for this. So excited for your next novel! Love the first two. You have to admit, it's a groovy cover, though. Maybe you can pinch that hotel-lobby carpet concept for your next release. 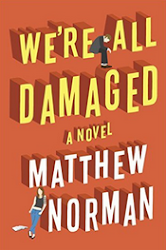 I was SO excited to get a new Matthew Norman book, but as soon as I started reading the first page I thought "this doesn't seem funny and it is completely not like his regular writing." Good thing I checked here! 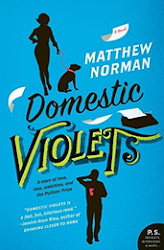 So maybe write a new one, because you can't have the other Matthew Norman having a book more current than yours, right? I'm on it! And...sorry for the confusion.